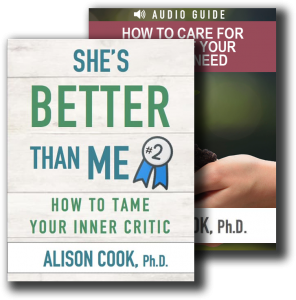 When Curiosity Becomes a Calling - Alison Cook, Ph.D.
How do you know when what you are curious about is actually a calling? I can be curious about almost everything. I’m delighted by people who excel at home design or gardening – I want to learn all about how they do it. If you give me a budget, I want to figure out how it works. If you are an expert on political activities in Venezuela, I’d love to sit with you and learn. The truth is I can find most anything captivating, at least for a moment. My natural curiosity is likely what kept me in school for so long. But I’ve had to learn that being curious about something is not the same thing as being called to it. The good side of curiosity is the joy and wonder it brings. But the down side of unfettered curiosity is that it can lead to lack of focus and discipline. For example, in my own life, I’ve learned to set some interests aside in order to focus on three main things: staying connected to God, caring for my family, and stewarding my vocation as a counselor. I’ve had to learn to stay curious about the world around me, even as I’m anchored in a few very specific callings. As Cloud and Townsend say, I’ve had to learn to say “no” to some things, so that I can say “yes” to others. And for those of us with a lot of natural curiosity, that can be more challenging than it sounds. How can you tell the difference between curiosity and calling? Curiosity says,“I appreciate you, and I’m interested in what you do!” Curiosity recognizes that every person and aspect of this world is filled with God’s creative handiwork. It honors the incredible diversity of talents and treasures distributed throughout different individuals and values them as worthy. Curiosity at its best is a form of gratitude and praise. Calling says, “God has put it on my heart to follow that particular thing through.” Calling comes from a combination of understanding your unique abilities and a sense of responsibility before God. Calling at its purest is stewardship. It’s often born out of curiosity, but it moves beyond the realm of appreciation and into the realm of commitment. Curiosity says, “I’m not sure why I feel so tired. . .or sad. . .or happy. . .today.” Cultivating curiosity toward your thoughts, feelings, and physical health is important for your well being. It helps you stay alert. At its best it’s a form of daily prayer – it’s bringing your normal, day to day attitudes and experiences before God. Calling says, “I’m neglecting my body. . .my soul. . . or my mind. I need to change.” Calling takes it one step further. Calling notices something that’s wrong with your body or soul and senses that deeper pull to make it right. Calling is a sense before God that you need to focus in on an area and grow or mature. It’s making a commitment to yourself. Understanding the difference between curiosity and calling is important to standing tall and finding your unique place in the world. Curiosity is cultivating a childlike spirit of wonder. Jesus says, “Let the little children come to me, and do not hinder them, for the kingdom of God belongs to such as these. . .anyone who will not receive the kingdom of God like a little child will never enter it”(Mark 10:14). Developing a posture of curiosity as you survey the world around you keeps you open-hearted and filled with praise. On the other hand, if you don’t know when to reign in your curiosity and stay anchored in those things to which you are called, you risk being scattered or even irresponsible. In a parable about stewarding talents, Jesus says, “‘Well done, good and faithful servant! You have been faithful with a few things; I will put you in charge of many things” (Matthew 25:21). God reminds us to care for the “little things” he has given us to steward. Calling doesn’t mean we become myopic; but it does mean we understand the importance of prioritizing well.